Copyright © 2013 Salah Y. El-Bakry et al. This is an open access article distributed under the Creative Commons Attribution License, which permits unrestricted use, distribution, and reproduction in any medium, provided the original work is properly cited. 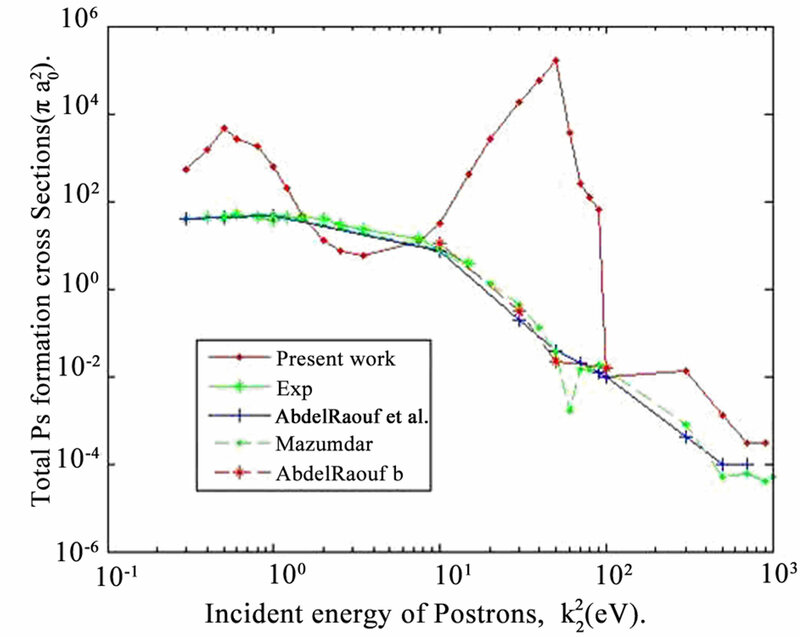 The importance of the study of positron-alkali atom collisions is the possibility of positronium (Ps) formation even at zero incident energy. This means that we are facing from the beginning a multi-channel collision problem in which at least two channels (elastic and positronium formation) are open. 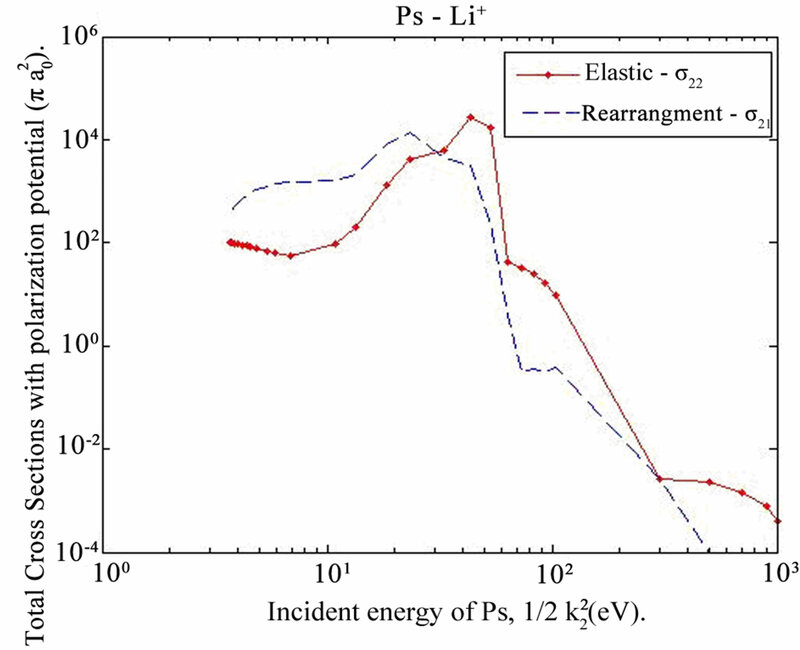 The positronium formation cross sections for the collision of positrons with lithium and sodium atoms are investigated using the hyperspherical close-coupling method  through the energy range 0.01 eV - 20 eV. The hyperspherical hidden crossing method (HHCM) is used to calculate the Ps formation cross section for positron-lithium collisions in the energy range 0 - 1.8 eV  as well as a correction term which includes the core polarization term in the model potential is added to the HHCM in the low-energy scattering . 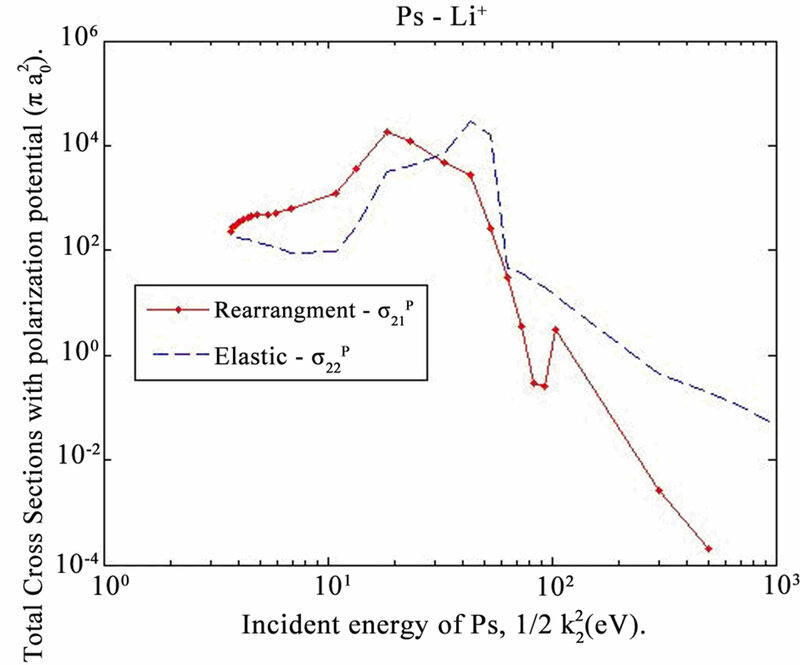 Three s-wave resonances in the positron-lithium system using the stabilization method are calculated . The coupled-channel optical method  is used to study positron scattering by atomic lithium at energies ranging from the ionization threshold to 60 eV. The s-wave resonances in the positron-lithium system using the stabilization method are calculated  in the framework of hyperspherical coordinates. 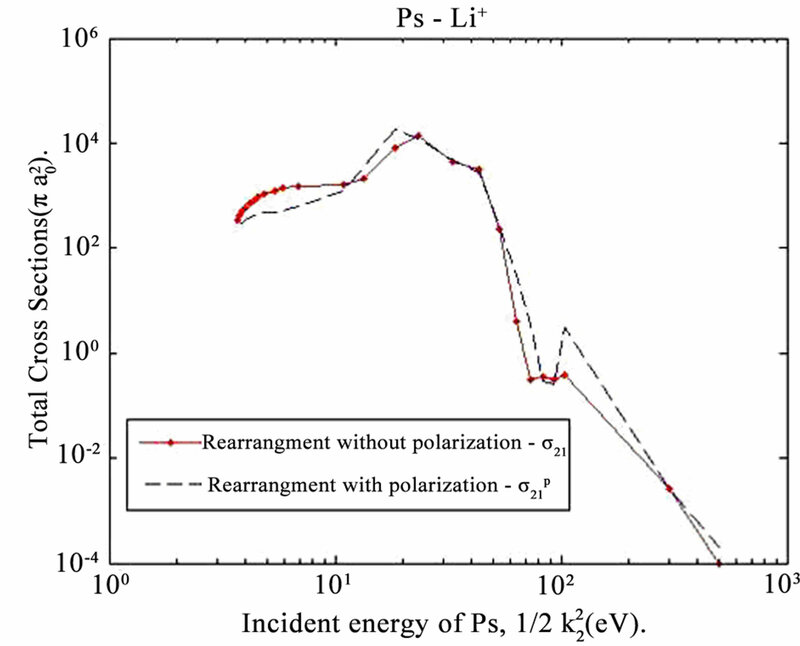 The positron-lithium collisions using two-center convergent closecoupling calculations are investigated . On the theoretical and experimental levels, it has been shown [8,9] that Ps formation has an important contribution to the total collisional cross sections of positron alkali atom scattering at the low and intermediate energy regions. In the above mentioned work the lithium target atom is considered to be in the ground state. 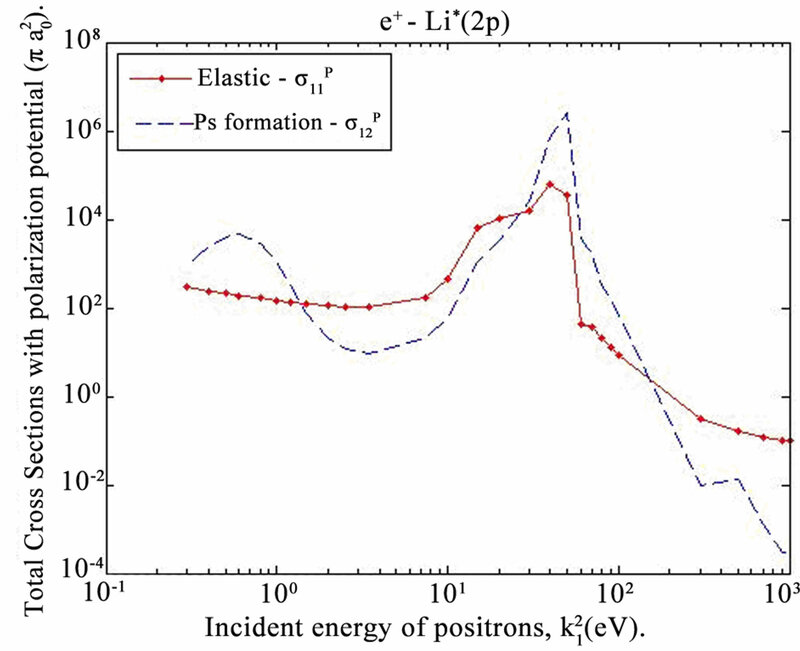 This paper presents a trial to investigate the effect of the excited state of the target on the production of Ps formation through the inelastic collisions of positrons with initially excited lithium atoms. Section 2 of this work involves a brief theoretical treatment of our problem. Section 3 deals with the discussion of our results and the comparison with different authors. where and are the wave functions of the 2p-excited electron of the lithium target atom and positronium, respectively . 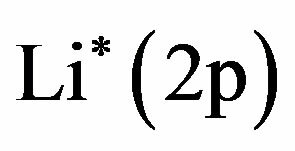 r is the position vector of the 2p-excited electron with respect to the origin of the scattering system at which an infinitely heavy nucleus of charge ( , for Li) is located. 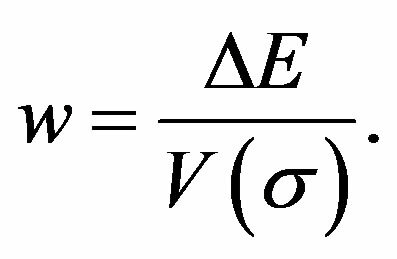 is the relative distances between the 2p-excited electron and the positron in the positronium. and are the interaction potentials of the first and second channels, respectively. 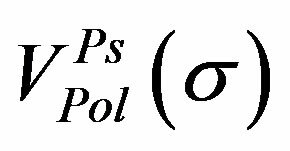 is the polarization potential of Ps and is a switching parameter (it is one if the polarization of the Ps is incorporated and zero otherwise). 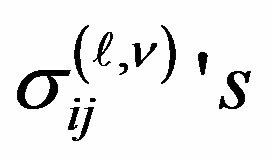 The coupling kernels are given in terms of the positronium wave function and the excited target wave function (for more details see Ref.). The proper for calculating is that one of which yields a minimum value for . 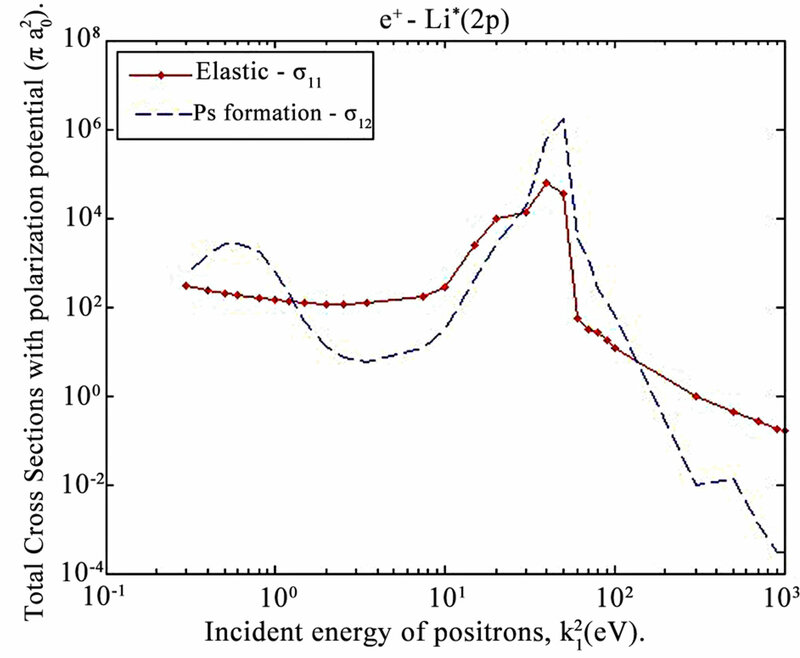 where is the total elastic cross section of the positrons with momentum scattered from the excited lithium atoms and is the total positronium formation cross sections, respectively. 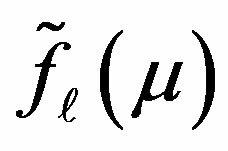 The mathematical formalism of the preceding section has been applied to the collisions of positrons with excited lithium atoms (Li*(2p)). We started the computational process by testing the iterative solutions of the coupled integro-differential Equations (1) and (2). Two tests have been made: The first was concerned with the convergence of the elements of the reactance matrix Rν, Equation (12), and partial cross sections, Equation (15), when the number of iterations (ν) is increased and second was concentrated on the convergence when the integration range (IR) is increased (Physically IR represents the distance at which we assume that the scattered positrons are not affected by the excited lithium atoms with respect to the first channel as well as for the second channel IR represents the distance at which the Ps atom and the rest of the target are totally separated, i.e. 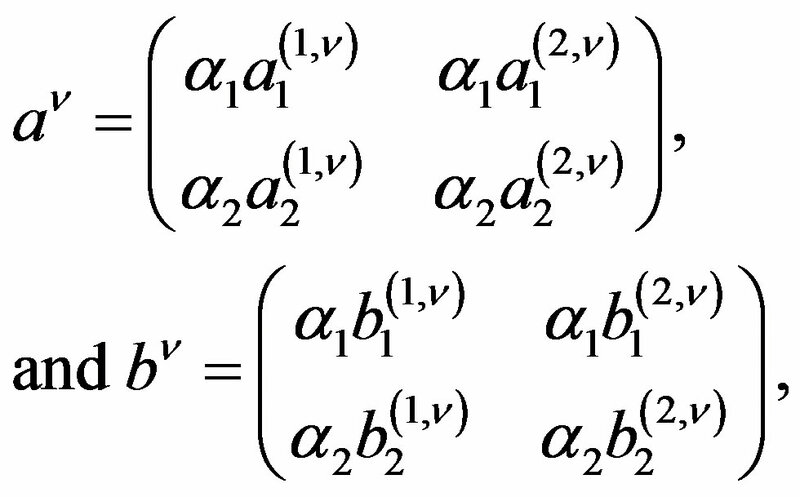 IR is the range away from the target nucleus to which all radial integrals are calculated using Simpson expansions). 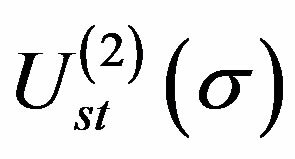 We found out that the reactance matrix corresponding to a given integration range and total angular momentum becomes almost symmetric after twenty iterations. 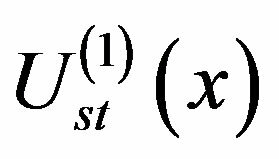 Consequently, we fixed this value of ν in all further investigations. 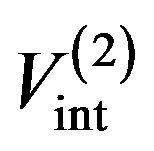 With regard to the second test, we put IR = nh, where n is the number of mesh points and h is the Simpson step used in the Simpson expansions of the integrals, and varied n and h in a very elaborate manner for all values and . The convergences of our results are found at h = 0.0625 and n = 768, i.e. IR = 48 a.u. Therefore, we fixed this value of IR in all other calculations. The final calculations were carried out for 12 partial waves corresponding to at 28 values of representing the low energy region and the largely extend intermediate region Let us consider that denotes the total cross section with polarization potential of the Ps atom and is the total cross section without polarization potential. (a) : at and at (b) : at and at and this emphasizes the argument that the Ps formation is very important at very low energy region. Figure 1. Comparison between our calculated total elastic and total Ps formation cross sections of e+- Li*(2p) scattering without polarization potential. Figure 2. Comparison between our calculated total rearrangement (reversal of the positronium formation) cross sections and total elastic cross sections of PsLi+ scattering without polarization potential. Figure 3. Same as Figure 1 but with polarization potential. Figure 4. Same as Figure 2 but with polarization potential. (a) : at (b) : at . From these figures we conclude that the reversals of Ps formation cross sections are more important than the elastic ones up to 31.39 eV of the incident energy of Ps. After 32 eV the total elastic cross sections of Ps-Li+ becomes more important. Figure 5 shows the effect of adding the polarization potential of Ps atom in its ground state which is the increase of the total elastic cross sections ( of e+- Li*(2p) scattering) through the low and intermediate energy regions and this demonstrates the importance of polarization potential especially at low energies. Figure 5 also shows the oscillating behavior of the total positronium formation cross sections which supports the possible appearance of resonance. Beyond 100 eV we notice that the Ps formation does not play a fundamental role in the total collisional cross sections of e+-Li*(2p) inelastic scattering. The effect of polarization potential on the total Ps formation cross sections of e+-Li*(2p) scattering is shown in Figure 6, from which we conclude that the total positronium formation cross sections are increased. The effect of polarization potential on the total rearrangement cross sections and the total elastic cross sections of Ps-Li+ scattering is shown in Figures 7 and 8, respectively. Figure 5. 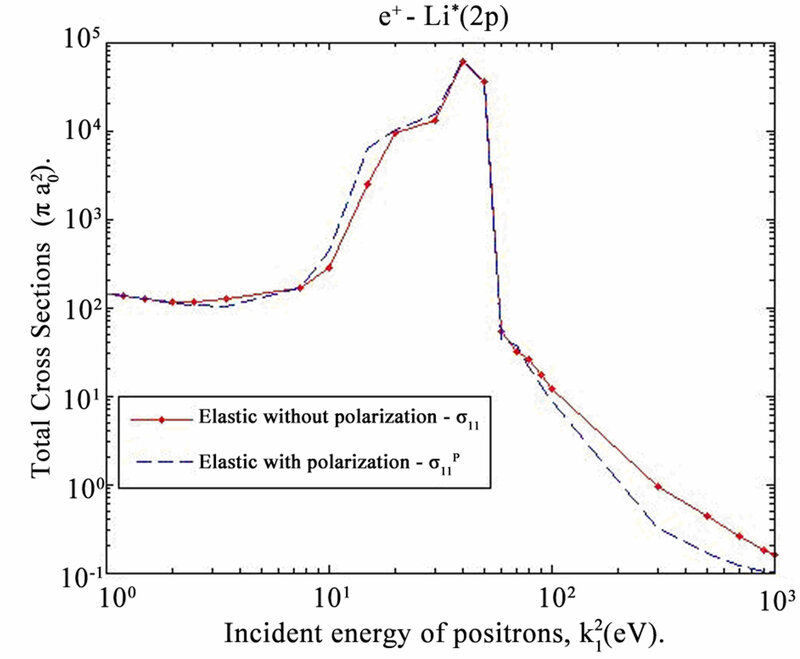 Shows the effect of polarization potential on the total elastic cross sections of e+-Li*(2p) scattering. Figure 6. 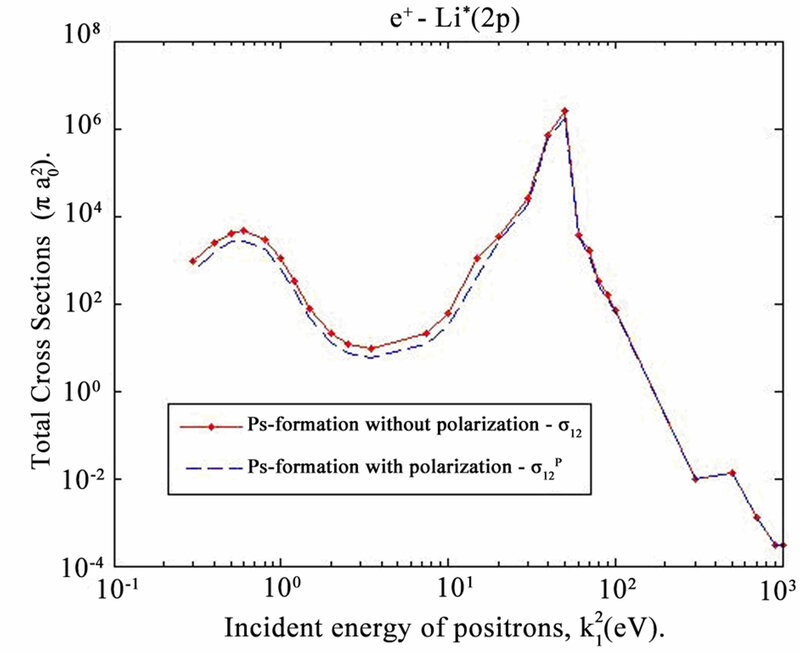 Shows the effect of polarization potential on the total Ps formation cross sections of e+-Li* (2p) scattering. Figure 7. Shows the effect of polarization potential on the total rearrangement (reversal of the Ps formation) cross sections of Ps-Li+ scattering. Figure 8. Shows the effect of polarization potential on the total elastic cross sections of Ps-Li+ scattering. Figure 9. Comparison between various total positronium formation cross sections (in ) of e+-Li scattering determined by different authors [8-13]. energy range 1.5 - 7.5 eV have the same order of magnitude as that determined experimentally. (b) our calculated Ps formation cross sections of e+-Li*(2p) scattering are greater than those of the experimental values of e+-Li (2s) scattering by: i) one order of magnitude at 0.3 eV and 1.2 eV, ii) two orders of magnitude at 0.4 eV - 0.8 eV, 15 eV. 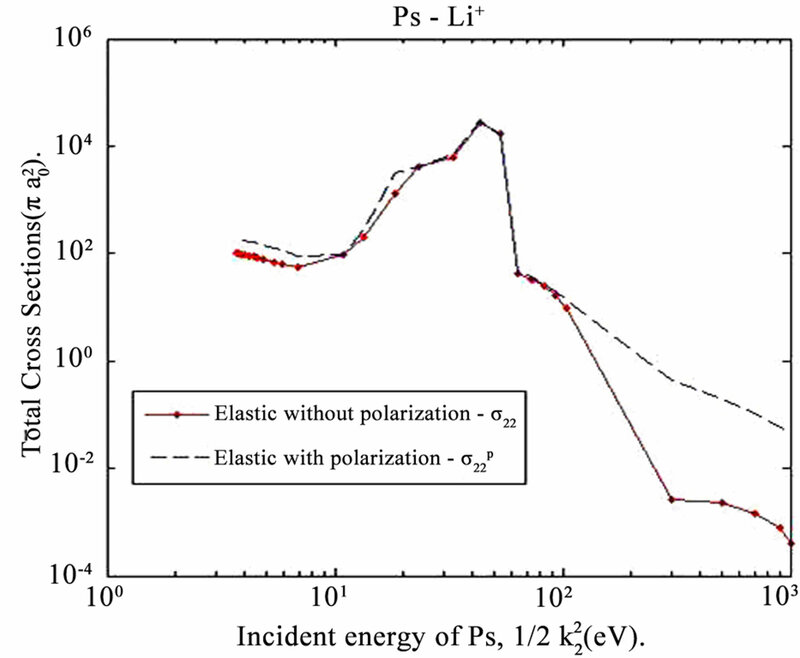 The positronium formation cross sections of e+-Li*(2p) scattering are considerably greater than those of e+-Li(2s) scattering, especially at low energy region. 1) The effect of adding the polarization potential of Ps atom in its ground state is the increase of the total elastic cross-sections through the low and intermediate energy regions as well as the increase of the total positronium formation cross-sections through the whole energy range except at 58 eV and 60 eV. 2) The existence of the oscillating behaviour of the total elastic cross-sections supports the possible appearance of resonance. through the whole energy range except at: 10.89 eV, 47.39 eV, 51.39 eV, 53.39 eV and 57.39 eV. 4) The present calculations of Ps formation cross sections emphasize that the positronium formation cross sections of e+-Li*(2p) scattering are considerably greater than those of e+-Li(2s) scattering, especially at low energy region. 5) The present calculations encourage the experimental physicists to carry out positron-lithium experiments by taking the excited lithium target into accounts in order to obtain more positronium especially in the low and intermediate energy regions. U. Roy and Y. K. Ho, Journal of Physics B: Atomic, Molecular and Optical Physics, Vol. 35, 2002, pp. 2149- 2158.